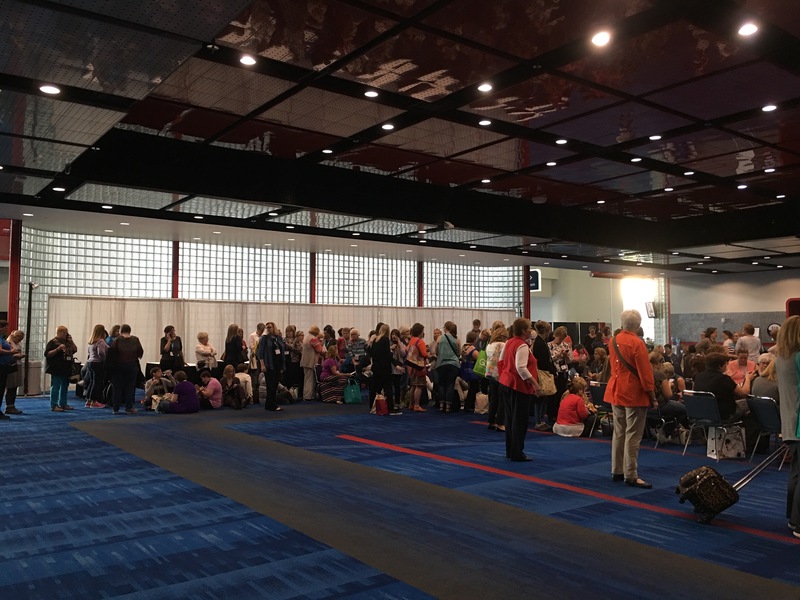 I have always wanted to go to Quilt Market and now that I am organized around my quilting, I was able to. Amy also wanted to go, so we hatched a plan and off we went. 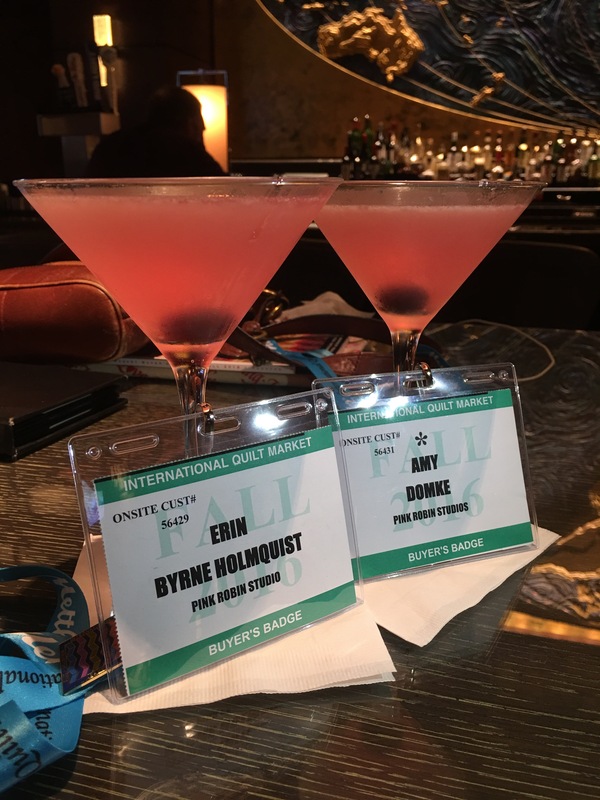 As is often the case, this is a quick trip – get into town, do something that night, binge on the quilts and vendors the next day and fly out early the following. 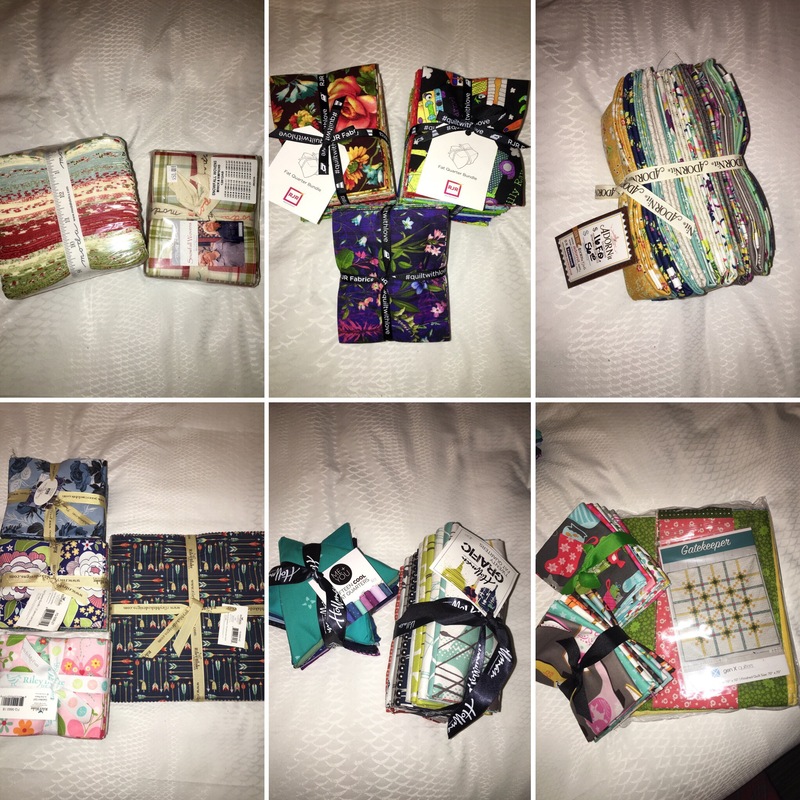 This trip, the “something” on night one was Quilt Market Sample Spree. 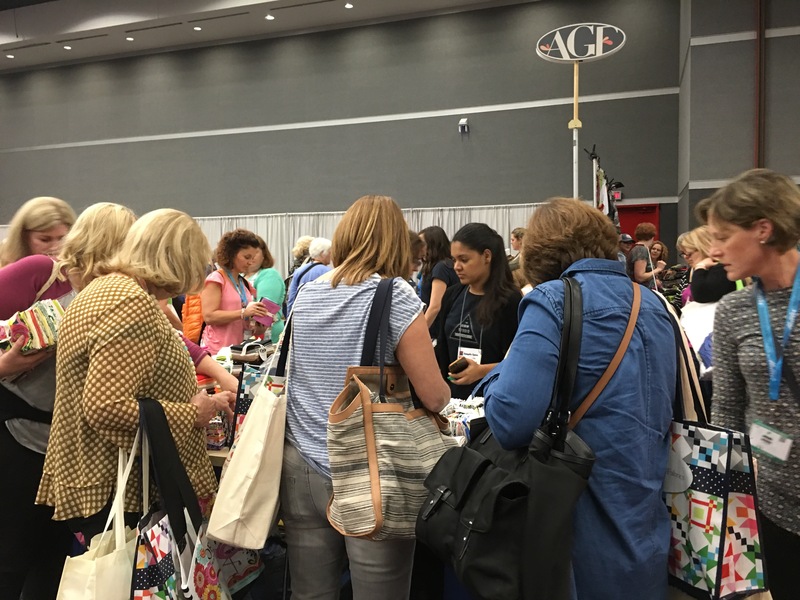 Sample Spree is an event you pay $15 (over your badge price for) and get to shop vendors at wholesale or below prices. The fabrics are billed as coming out in the next season, but I found it to be more of an even mix between items on market now and stuff soon to come. Sample Spree is not for the faint of heart and isn’t particularly well organized. They opened up additional lines and people who were at the back got to move ahead of people that had been waiting. A representative came and said no one should worry because there were four lines that would enter one at a time. In reality the doors open and women charge. Getting in fast makes a difference. After the first ten minutes the hottest booths were 2-3 people deep. Moda sold out in an hour. All the big players were there – Moda, Riley Blake, Free Spirit, RJR, Hoffman, Kauffman, and many others I am forgetting. They all had beautiful stuff, mostly pre-cuts and a few kits. 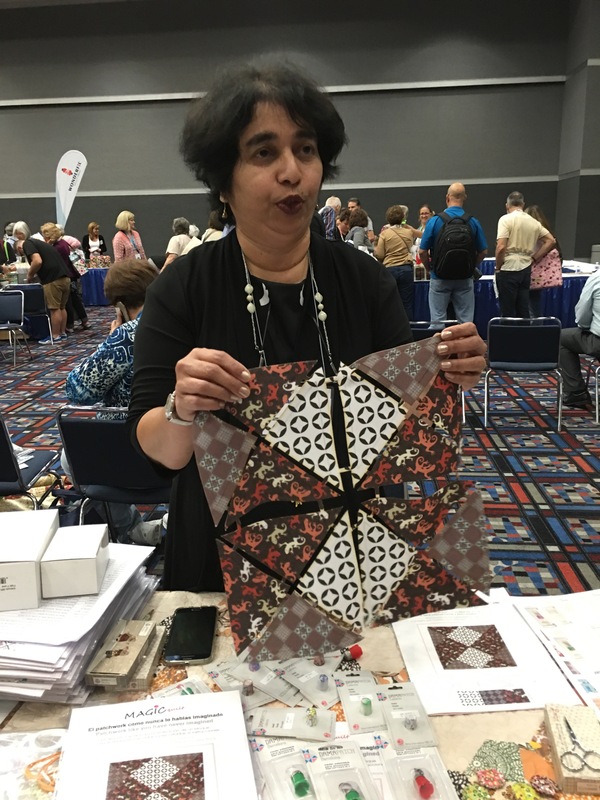 There were also thread companies, tool manufacturers, all sorts of suppliers, and unique acts like this woman who created some sort of a precut market with sewing lines that you sew and then snip apart. That wasn’t for me. So what did I get? Lots of great fabrics, some that I love and some that aren’t me but I know customers that will love them. I wish I hadnt got so many FQ bundles as there were all sorts of pre-cuts, but now I know for next time! Today we see the special exhibits and the manufacturers. Yay!